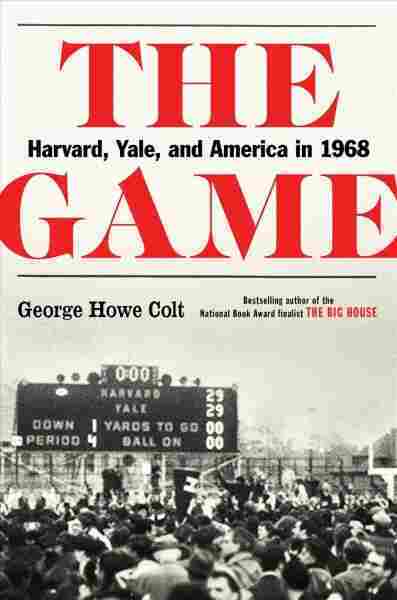 Key 1968 Harvard-Yale Battle Sets Scene For 'The Game' — And Football's Future Author George Howe Colt's choice to delve into the lives of the players and coaches in his new book, as well as the turbulent year itself, makes his writing about the actual game pay off beautifully. 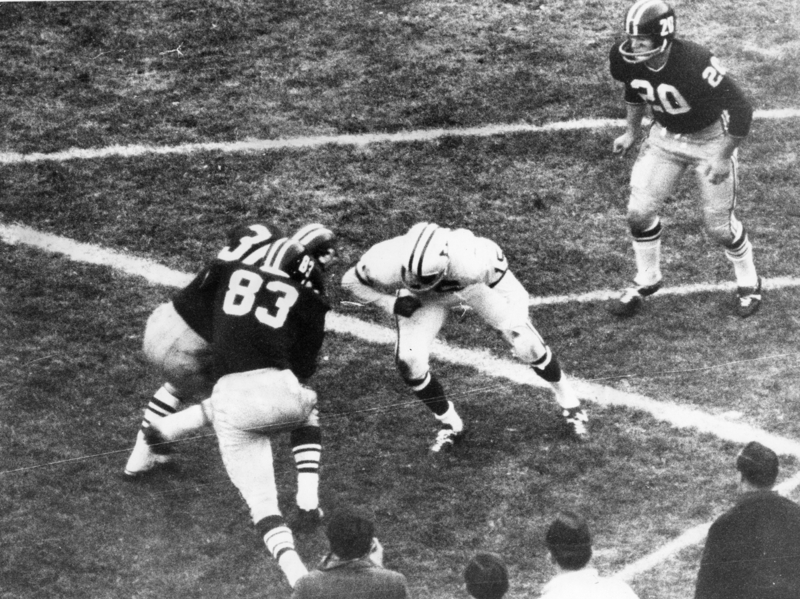 Harvard University's Bruce Freeman tries to run around a teammate and a Yale player and into the end zone after catching a pass during the final 42 seconds of The Game against Yale University at Harvard Stadium in Boston on Nov. 23, 1968. Colt is quick to disclose his special interest in the Harvard-Yale rivalry: The Massachusetts writer bleeds crimson, and has long considered the yearly game to be "a clash of civilizations that seemed no less than that of Athens and Sparta." But he dedicates just as much ink to both schools in his book, taking deep dives into the coaches and players who made the 1968 season so unforgettable. Football doesn't happen in a vacuum, of course, and 1968 was one of the most fraught years in modern American history. Colt carefully looks at the social upheaval in America through the lens of the players, providing fascinating context to that year's football season. Harvard, for example, had two players in the school's ROTC chapter, and two who were regulars at meetings of the left-wing Students for a Democratic Society (SDS). The students at Yale, by contrast, hadn't been quite as caught up in countercultural fervor, although its team did feature liberal players like Bob Levin, who would post anti-war posters on campus with his then girlfriend, a Vassar drama major named Meryl Streep. Colt's decision to delve into the lives of the players and coaches, as well as the turbulent year itself, makes his writing about the actual Harvard-Yale game pay off beautifully. That year's match was "the most ballyhooed ever," with both teams entering the last game of the season undefeated. Colt dedicates 52 pages to the game itself — and he writes so evocatively and so intensely, it's hard to put the book down for even a second. It's an absolutely remarkable piece of sportswriting. The game ended with one of the most iconic comebacks in college football history. Harvard, the underdogs, were down by 16 points with just a few minutes left in the fourth quarter; thanks to some favorable calls by the referees and a miraculous onside kick, the Crimson managed to tie the game with no time left on the clock. The outcome (remember, this was in the days before overtime) led the elated Harvard student newspaper to publish its now famous headline: "HARVARD BEATS YALE, 29-29." There's no doubt that football fans will find The Game fascinating — Colt understands the nuances of the sport, and he writes about it with an enthusiasm that never descends into rah-rah fandom. But you don't have to be a sports fan to enjoy the book; like Buzz Bissinger's Friday Night Lights, its human focus makes it accessible to everyone, even if you don't know the difference between a touchback and a touchdown. Vibrant, energetic and beautifully structured, The Game is a big-time winner.